It is now available at the winery ($15.00). This is our first blush wine, intended for summer sipping. 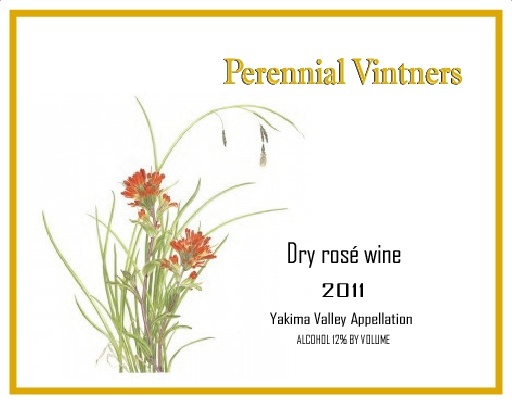 It's from the Yakima Valley Appellation, a dry Rosé from Pinot Noir grapes. True to Perennial Vintners style, it has bright citrus flavors and bracing acidity. You won't be able to resist the deep red salmon color!